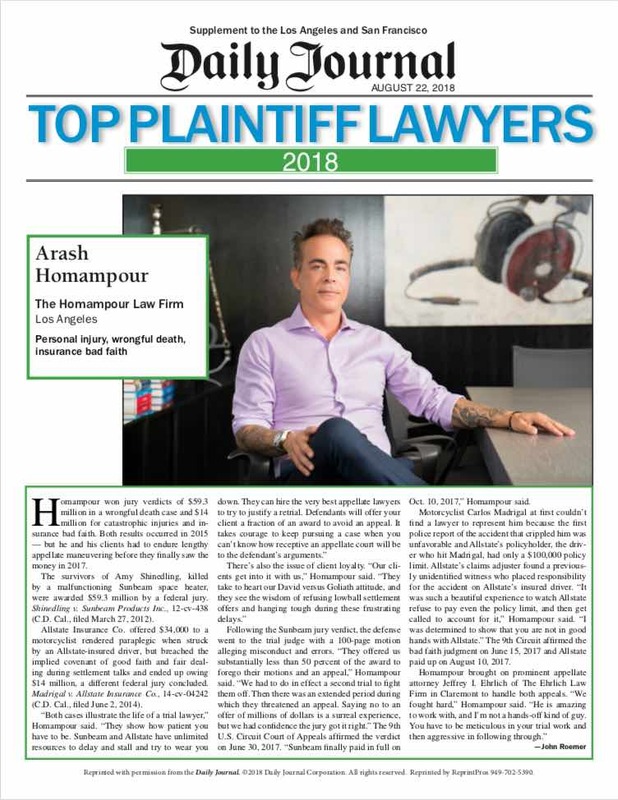 In May 2018 Attorneys Arash Homampour and Scott Boyer successfully obtained a $5 million dollar settlement on behalf of two minor children for the wrongful death of their mother. In a very difficult liability case, plaintiff minors and their mother were pedestrians crossing the street mid-block to get to their home when they were struck by the defendant driving a work truck. The minors suffered minor injuries which they recovered from but their mother died as a result of the collision. 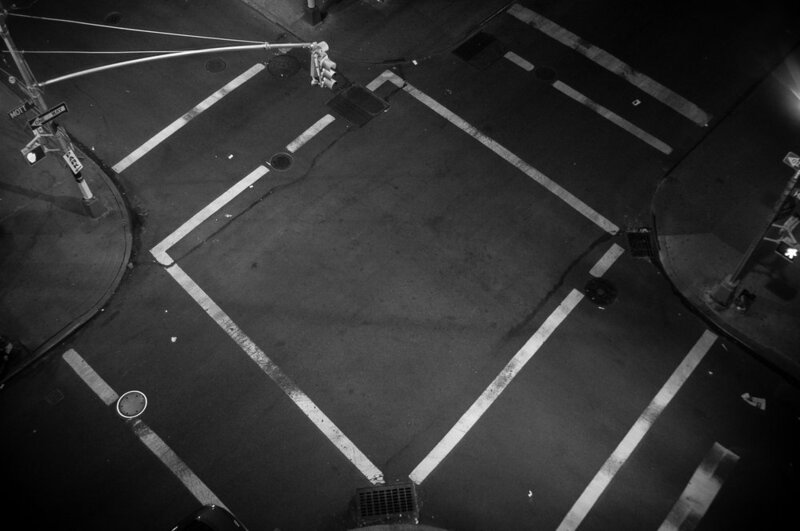 The defense contended that our clients and their mother crossed a very busy street mid-block and outside of a marked crosswalk and failed to yield to oncoming traffic in violation of multiple Vehicle Code sections and were thus exclusively at fault for the incident. The defense also claimed that the driver would not have been able to see our clients in the roadway in time to avoid the collision because it was night time and our clients were wearing dark clothing. 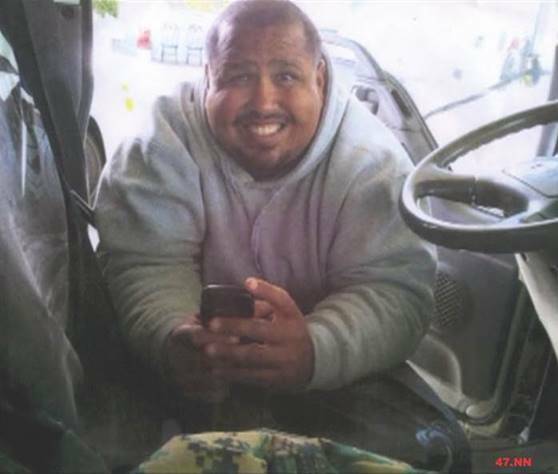 The police had determined that even knowing the exact positioning of the pedestrians in the roadway, the defendant driver would not have been able to avoid the collision and cited the decedent as the cause of the collision. Undeterred by the police findings and difficult facts on liability, through dogged investigation and using the most advanced human factors and accident reconstruction methods, the Homampour team was able to locate and obtain testimony from favorable witnesses and then show that the defendant driver had accelerated when passing a vehicle which had stopped in the roadway to allow the pedestrians to cross the street and the driver would have had sufficient time to see and stop for the pedestrians had he not been traveling at an unsafe speed and failed to exercise due care. Although the Homampour team was able to secure a sizeable settlement for our clients to fund their future education and needs, it will never replace the loss of their loving mother. One California County has reported an upswing in fatal motorcycle accidents. At least one-half-dozen serious motorcycle accidents have occurred there since the beginning of the year, and many of these crashes have come down to the carelessness of other drivers. One motorcycle rider was reportedly struck by a car driven by a drunken driver. Many other fatalities have involved intersection crashes. In recent years we have also seen a significant increase in motorcycle fatalities nationwide.